MW reaches out to her audience to help solve a mystery left on her voicemail. 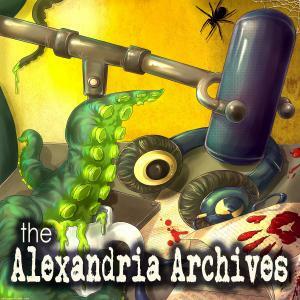 Alexandria Archives is a Miscellaneous Nerdery Production and is produced by Nicole Jorge, Uri Sacharow and Aaron Redacted. Voicemail "Sounds of Silver" was written by Chris Williams and Performed by Alex Flanigan. “Q&A With A Vampire Killer” was written and read by Soren Narnia. Story audio editing by Scott Thomas.